Voting for the 4th edition of the People's Choice Stevie® Awards for Favorite New Products, as part of The American Business Awards, the nation’s premier business awards program, opened today will go through August 29. Favorite Media or Entertainment Product. All new products and services that are nominated in the new product awards categories of The 2012 American Business Awards are automatically included in the public voting for the People's Choice Stevie Awards for Favorite New Products. Organizations will have the opportunity to win two awards: a Gold, Silver, or Bronze Stevie Award, as determined by professionals in the ABAs’ peer-review judging, and a crystal People's Choice Stevie Award, as determined by the public vote. Winners of the crystal People's Choice Stevie Awards will be announced at the American Business Awards' new product and tech awards banquet at the Julia Morgan Ballroom in San Francisco on September 17. 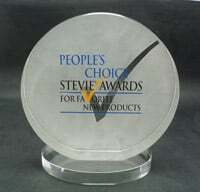 Winners in the 3rd edition of the People’s Choice Stevie Awards for Favorite New Products were celebrated in New York on Monday, June 20, 2011. Past winners include Apple, Boost Mobile, Dow Jones, and Samsung, among others. 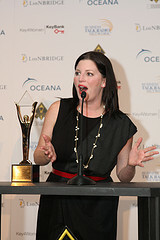 2011 results are summarized, at http://blog.stevieawards.com/new-product-awards/bid/55322/People-s-Choice-Stevie-Awards-for-New-Products-Award-Winners. Payments management company Litle & Co of Lowell, Massachusetts, USA won a Stevie® Award for Best New IVR or Web Service Solution in the new product awards categories of the 2011 Stevie Awards for Sales & Customer Service. Ben Saren, their VP of Marketing, will Chair the committee for final judging of the New Product & Service categories in the 2012 edition of the awards, which is accepting entries through January 18 (get your entry kit here). As online credit card transactions increase, so do the risks. We look at how Litle & Co. is reducing these risks. Industry statistics in the United States suggest that there were more than 900 data breaches involving more than 900 million credit card records in 2009 alone, yet the majority of merchants still keep customers’ credit card numbers on file. Meanwhile, the Payment Card Industry (PCI) standards for data security are still evolving as they relate to Data Loss Protection (DLP) technologies. Litle & Co. has developed a forward-looking solution that protects consumer data. The company believes that tokenization is the next step in enabling safe removal of sensitive cardholder data from merchant systems. The company is ahead of other solution vendors in proactively addressing vulnerabilities in the payment chain of card transactions in order to protect merchants and, ultimately, consumers. The Litle Vault, introduced in September 2010, is a web-driven, platform-integrated, tokenization solution that enables card-not-present (CNP) merchants to safely remove sensitive cardholder data from their systems without disrupting any existing card transaction-based process. The service is delivered directly to Litle’s customers, and therefore to their customers, through the Litle payment-processing platform. Litle Vault removes merchants’ data security encumbrances so they can focus on selling. Instead, the onus of handling most of the data management is moved to Litle & Co, so the merchants’ customers’ card data exists only on an offsite server that specializes in handling payment data. Whenever sensitive cardholder data is replaced with a token and used in association with operational areas such as acceptance of online payments, cardholder data storage, and chargeback processing, it can reduce the scope of PCI audits and associated costs by as much as 60%. Data breaches do and will happen. However, with the Vault, hackers cannot steal what merchants don’t have: the customer’s credit card information. In the event tokens are compromised, cyber-thieves will quickly find that the tokens are completely worthless to them. Once registered, a single token can be used by anyone in an organization, mitigating the time-consuming and often costly process of having to encrypt, decrypt, and re-encrypt information each time someone touches a customer’s credit card. Tokenization is a preventive measure that minimizes the cost of a data breach risk. It also potentially enables a merchant to eliminate certain onerous insurance premiums that can often run to hundreds of thousands of dollars. With tokenization, a component of the Errors and Omissions (E&O) Liability Insurance premium cost—typically $0.60 per card annually—can be eliminated. “Tokenization of payment card data has quickly become a must-have for e-commerce and direct-response merchants whose web presence exposes them to a great deal of breach risk and who are seeking to reduce their PCI scope,” said David Fish, Senior Analyst at Mercator Advisory Group, the leading research and consulting firm focused on the payments industry. “Litle & Co. has earned the reputation of a trusted partner in the card-not-present space, where their expertise in dealing with transaction data security in card processing environments has coalesced in … Litle Vault." Jason brings more than 15 years of product development, direct marketing, sales, and entrepreneurial experience to Litle & Co. Jason leads Litle’s Sales & Marketing strategy, which includes business development and sales; product strategy and development; brand awareness marketing and communications; and partner communities and initiatives. Before joining Litle, Jason served as a Partner of Enflect, LLC, which developed several product companies in the payment, loyalty, financial services, and software industries. Prior to Enflect, Jason developed Wallaware, Inc., a wireless router company, where he drove the company’s first U.S and International sales, raised several rounds of private equity capital, and opened operations in the US and internationally. Before Wallaware, Jason was Director of Wireless and Personalization at Terra Lycos, a top-three most-visited Internet destination. At Terra Lycos he created some of the first wireless portal solutions, available in 30 countries under the brand Lycos Anywhere®. He also managed Terra Lycos’s Network Personalization products, including MyLycos®, the award-winning personalization destination with 20 million registered users. Before Terra Lycos, Jason was instrumental in building INPHO, Inc. (including domania.com, which today is part of IAC’s LendingTree), a pioneer in the Internet real estate space. 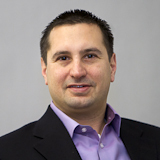 Jason received a bachelor’s degree in Finance and Entrepreneurial Studies from Babson College. Litle & Co. is the payment-processing engine behind leading ecommerce and consumer-direct digital brands including Overstock.com, Ancestry.com, Gilt Groupe, CSN Stores, and Guthy-Renker. Founded in 2001, the company’s customer-obsessed culture is committed to Voice of the Customer initiatives, including Net Promoter Score (NPS). Litle & Co won the 2010 Stevie® Award for eCommerce Customer Service and the 2011 Stevie® Award for product and service innovation for its tokenization solution Litle Vault. To learn more about Litle & Co. visit http://www.litle.com, or call 1-800-548-5326 (1-800-LITLECO) or 978-275-6500. Agloves® of Boulder, Colorado USA won Stevie Awards for Best New Product of the Year and Best New Company of the Year in the 2011 Stevie Awards for Women in Business. We asked the mother-and-daughter team behind this successful company how they came up with their innovative idea. (All of the Stevie Awards competitions have new product awards categories - check out the categories in the Stevie Awards for Sales & Customer Service - final entry deadline of January 18 2012). Jean was simply echoing the problem that smartphone and tablet users know only too well: regular gloves don’t work on touch screens. Fortunately for Jean, her mother is both an entrepreneur and a woman of great resourcefulness. The idea intrigued her. How Do Touch Screens Work? Jennifer began by studying how touch screens work. Contrary to popular belief, touch screens are not heat sensitive. They are capacitive, meaning that the screens respond when tiny amounts of moisture, salts, and oils in the skin allow electrons to flow between you and your device. However, when something non-conductive comes between you and your device—such as an ordinary pair of gloves—the touch screen doesn’t respond and the device won’t work. For Jennifer, the solution was obvious: Create a warm glove that would be able to conduct the body’s own bioelectricity to the capacitive touch screen. And so a new product was born: Agloves®. Ag is the symbol for silver on the periodic table and is the most conductive element. With Agloves, the body’s natural bioelectricity flows through the glove to your touch screen device and maintains near-perfect connection. Agloves combine a snug, user-friendly design with tech-savvy functionality. The gloves deliver incredible accuracy and intuitive operation. Wearers can swipe, pinch, and pull their touch screens at the same speed they would with bare hands. An added bonus is that, in addition to being conductive, silver is a thermal regulator, making the gloves warmer than most knit gloves—and antimicrobial. The next step was to commercialize the product. Circumventing the traditional brick and mortar retail strategy, Agloves launched its ecommerce website on September 29, 2010. Working as a mother-daughter team, Jennifer and Jean used an innovative social media strategy to introduce their new product. While their new company was not able to afford television advertising, it needed to level the playing field when it came to competition from other computer accessory and glove companies. And that is exactly what Agloves did by its savvy use of social media. Agloves received wide online media coverage. The gloves were acknowledged as one of CNET’s “Best of CES 2011” and among MSNBC’s “Top Winter Gadgets 2010.” PCMag included Agloves in its "Best Winter Gadget List 2011," and MacWorld gave Agloves four mice. Other media coverage included Fox Business News, The New York Times, Yahoo News, AP, National Public Radio, and Gizmodo.com. By December 2010, Agloves touch screen gloves had sold in 43 countries and were selling at a rate of a pair a minute. Tech-savvy consumers around the globe are falling in love with Agloves. Jennifer Spencer is a creative thinker and entrepreneur who has been instrumental in myriad start-up companies and innovations over the last 20 years. Jennifer's marketing and business development strategies have provided successful solutions for her clients. Jennifer is president of Agloves. Jean Spencer is VP of Communication. After receiving a bachelor’s degree in Journalism, Jean decided to take a leap from the world of newsprint into the world of online communications. Jean heads all things social, communicative, and networked for Agloves including media relations, PR, social media, and the company’s online presence. Agloves® is a patent-pending winter touch screen glove company. The Boulder, Colorado-based business launched September 29, 2010 and currently employs seven people. Agloves was globally successful right from the start. Within three months of launching the business, Agloves had sold roughly 60,000 pairs of gloves in 43 countries worldwide from their online store, www.Agloves.com. Agloves is currently expanding into retail sales in the European Union. What is your favorite inspirational new product idea story? If you voted in this People's Choice Stevie Awards edition and would like to vote in the next one, note that your next opportunity will be in the People's Choice Stevie Awards for Favorite Companies, which will open for voting on July 27. How did your favorite new product do in this year's voting? At the 2010 Stevie Awards for Women in Business, FuzziBunz, out of Lafayette, Louisiana, was one of a few organizations to win two Stevie Awards - one for Best New Product of the Year, and the other for Most Innovative Company of the Year. See FuzziBunz founder Tereson Dupuy's acceptance speech for the Best New Product Stevie here. "FuzziBunz cloth diapers are truly an innovative cloth diaper! In 1999, Tereson Dupuy founded FuzziBunz cloth diapers after watching her son suffer with severe eczema; trying various treatments with no relief. Her doctor recommended she try cloth diapers, which at the time were flat white diapers that you hooked with a pin and put crunchy plastic pants over. Tereson was a busy mom with little time to futz with pins and plastic pants, and most importantly her baby wasn’t staying dry with these diapers. "She needed a solution and invented the modern cloth diaper – a design copied by many but is patented and owned by the inventor herself, Tereson Dupuy. During Tereson’s search for absorbency, she quickly recognized that fleece was key – a unique fabric that would allow moisture to wick away from baby’s bottom then quickly dry. She then combined a superior fleece fabric with a pocket opening at the top of the diaper where you can “stuff” absorbent materials. Finally she had a dry baby, a cure for his eczema, and a fantastic new Modern Cloth Diaper design and product. "Post inventing the first FuzziBunz concept, Tereson has worked hard to perfect her invention solving every problem she found in both disposable and reusable diapers. This last year Tereson revolutionized the cloth diaper and created a diaper that could be sized up and down to fit babies from birth to potty training. Her concept is different than any other diaper manufacturer, as she used an elastic band that is inserted inside the diaper’s leg and waist casings and which can be adjusted to make the diaper smaller or larger (similar to how adjustable waist pants work). Now moms don’t have to buy diapers in small, medium and large, they can simply buy the FuzziBunz One-Size cloth diaper invention and voila, the diaper would grow as baby grew! Truly genius! Even better, the elastic band is fully replaceable, this patent pending fully detachable system guarantees the diaper will last through multiple children and washes with replacement parts. Moms can save even more money and create less environmental waste with these innovative one-size cloth diapers!" Next opportunities to win a Stevie Award for a new product or service? Check out The American Business Awards and The International Business Awards.